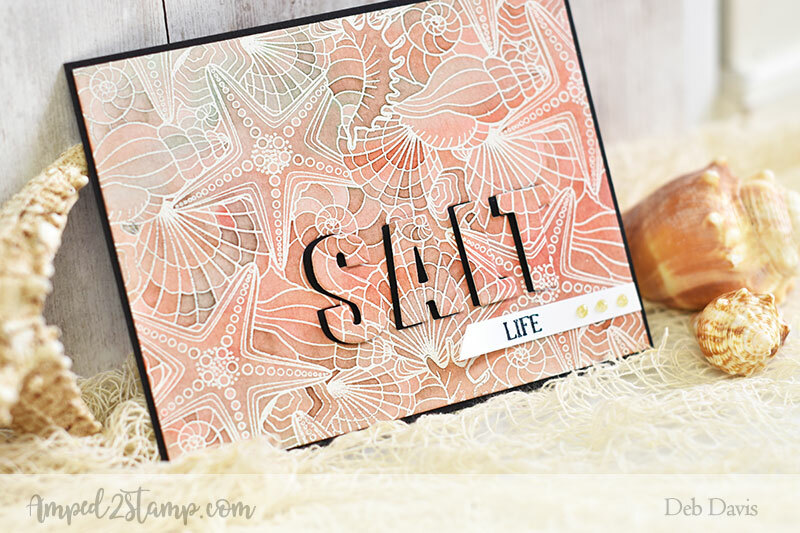 The Seashell Background is a must-have for all your "salt life" projects, it's perfect for beachy backgrounds and for eclipse cards like this one. For this card I heat embossed the background in white on watercolor paper. Then I used distress inks and the wet on wet water coloring technique to "float" on the color variations. 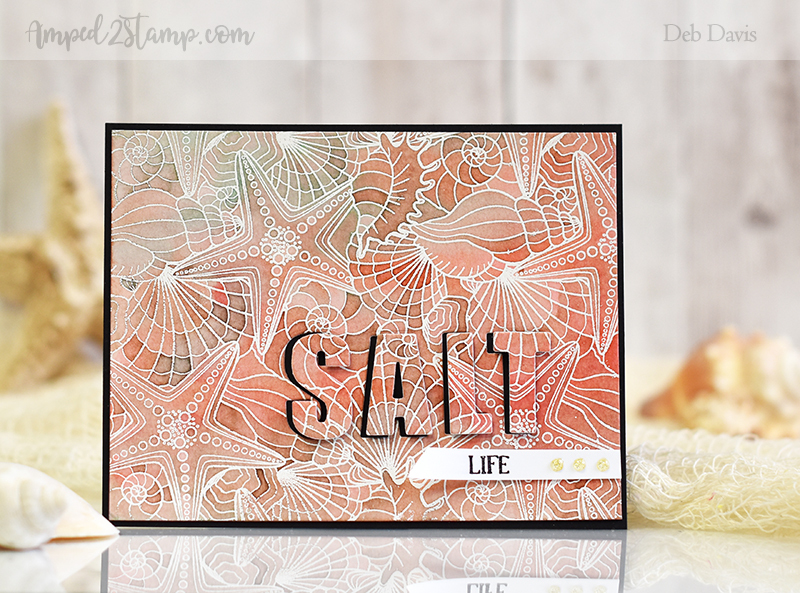 Once the background was dry I used the New Bold ABC dies and cut out the SALT letters. Then I matted the background onto a black card base and attached the letters with foam tape. I offset the letters so a little of the black would show through so the letters would pop more. 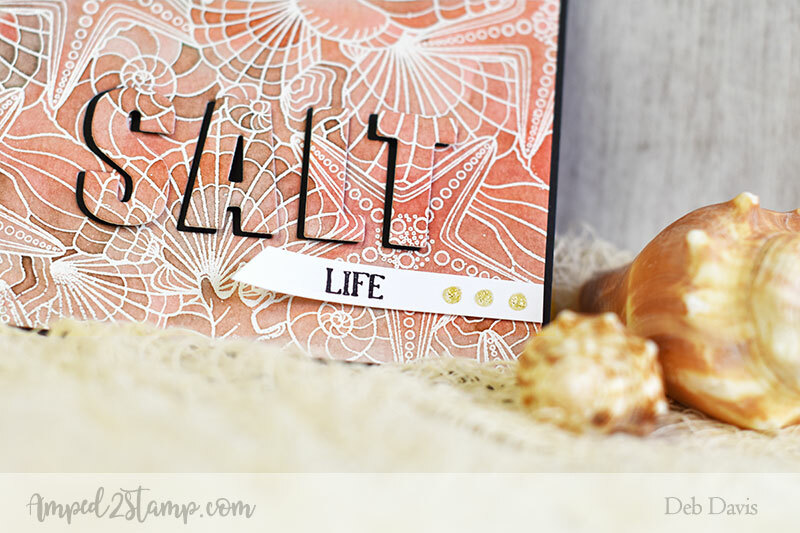 The "LIFE" sentiment is from the Farmhouse Vases set and it was stamped in black on a scrap of white cardstock and cut at an angle. 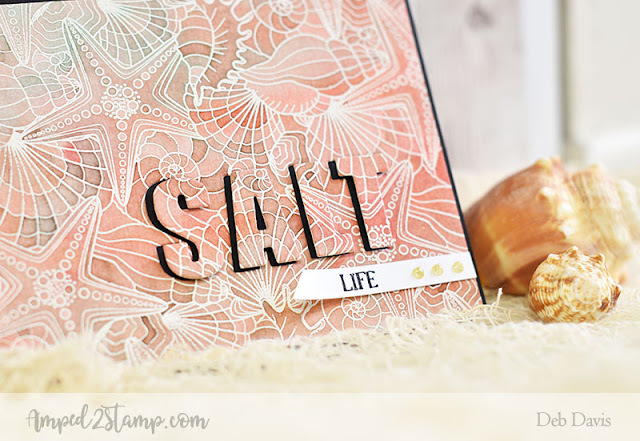 The 3 little glittery dots are (aptly named) Ivory Seashell Nuvo Crystal Drops. Do you live the Salt Life...maybe you're doing something salty this weekend? Whatever your plans happen to be salty or not, I hope you have a great day.